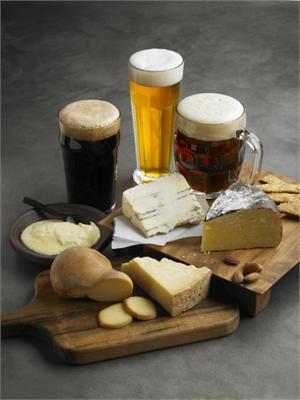 Brandywine Loca’licious: Wine, and cheese, and beer, oh my! If cheese, wine, and beer are something that makes you in high spirits then remember to mark Brandywine Loca'licious on your calendar. On Tuesday, April 5 from 6-8 p.m. the fundraiser, benefiting the Pensylvania Restaurant Association's Brandywine Chapter, will be at the Victory Brewing Company in Downingtown, PA. The event will feature cheeses from Yellow Springs Farm, Birchrun Hills Farm, Shellbark Hollow Farm, Conebella Farm and September Farm. Local libations will be provided by Paradocx Winery, Black Walnut Winery, and Chaddsford Winery. Plus, there will be plenty of samples of Iron Hill beer to goes around. Don’t miss out on this fun event! If you taste something you can't get enough of, the cheesemakers will be selling wedges to go so that you won’t have to go without your new found favorite. Tuesday, April 5, 2011, 6-8 p.m.